With the summer upon us, so too is the festival season. Here we look at a few that showcase our nation’s weird side along with a quick guide on how to start a festival in your town or village. This quirky festival is back for its ninth year from July 29- August 6. Voted Ireland’s best festival two years running, with an annual attendance of 27,000 people, it is definitely one of the summer’s most humorous festivals. 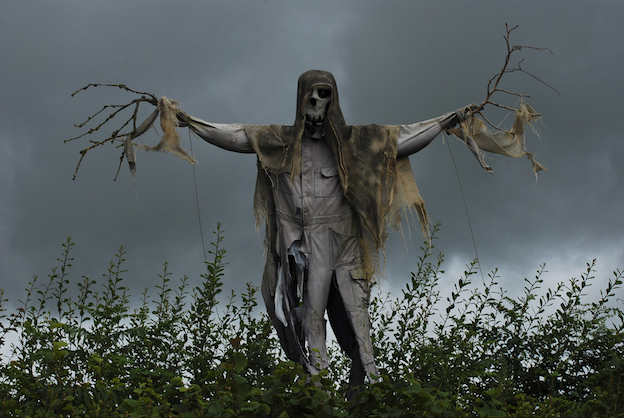 Previous prize winning scarecrows included Miley Silage, complete with ball and chain, straw versions of One Direction and even president Michael D. With the much-coveted title of ‘All-Ireland Scarecrow Champion’ up for grabs, this is one everyone can get their teeth into. You would be forgiven for thinking you had just walked into a bar in Nashville or Memphis, Tennessee, with this bill of American and Irish country and western music, with names like Robert Mizzell, Patrick Feeney, Derek Ryan, and Mike Denver performing over the bank holiday weekend in June. So, dust off your Stetson and polish your dancing shoes for a weekend of ‘country’. Minevention is the unofficial convention for Minecrafters with events taking place over the course of the year. There are build battles, tournaments, challenges, costume competitions and workshops, as well as the chance to meet world famous Minecrafters in the flesh. So, embrace your inner geek and dive in. Put on your cowboy boots and your best smile and head to this festival, which not only promises performances from the top names in traditional country music but speed-dating, dancing and daily match-making by the legendary cupid Willie Daly. Since he started out as a matchmaker 45 years ago, following in the footsteps of his father and grandfather, Willie has set up around 3,000 marriages. With those kinds of stats, it’s too intriguing not to go. 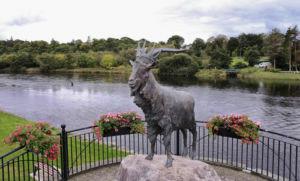 One of Ireland’s most unusual and longest celebrated street festivals, Puck Fair takes place on August 10-12. Every year without fail, a goat catcher goes up into the mountains to catch a wild goat. The poor goat is subsequently crowned King Puck by the Queen of Puck, usually a girl from one of the local primary schools. And this is just what happens on the first day. Now in its 54th year, the Ballina Salmon Festival on 8-15 of July is the longest running family festival in the West. One-third of the festival’s programme is aimed specifically at kids. Adults can enjoy the delights of Ballina’s Chamber Choir or if you’ve more energy, why not battle it out for the coveted victor of the Moy Swim or test your mettle on Ballina’s biggest obstacle course. Festivals bring people into an area they might otherwise have overlooked. If you have a burning idea for the next great festival, Feargus Dunn, lecturer in tourism and events management at the Institute of Technology, Tralee, has some tips on how to get it right. You need to have a passion for what you are doing. It will get you through the tough times, as only the good festivals survive. You need a robust and well-researched business concept. Look at competitors, ask yourself is there a market for it. The event is not going to make money in first few years. Think long term. You need to have enough money to absorb losses in the first few years, mainly as sponsors will be wary of you when you don’t have a track record. The choice of venue is hugely important. Sometimes people go to the venue for its attractiveness alone, or if it is of historical importance, but does it have the infrastructure. Is there power, WiFi, does it have ambulance clearways? If you are volunteer-led, get people on board with varied backgrounds who can challenge you. Most third level colleges offer work placements to students in event management courses. Seek people with digital marketing expertise or those involved in project management. Prepare for a lot of meetings with local councils, Gardai and environmental health officers. If you have over 5,000 people at an event, you need a licence, which takes over six months to process. There is funding available, but it’s very competitive. 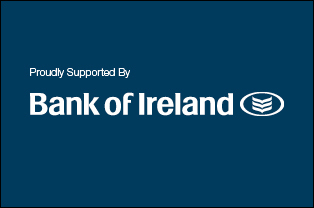 Failte Ireland, the Arts Council and local county councils might offer €3,000-5,000, but you need to provide a lot of documentation. Failte Ireland will only give funding if there is a tourism angle, the Arts Council is the same. You will need a track record, they won’t give you money in the first year. There is money in funny places, like Waterways Ireland, if you can show your event in on a canal or linked to rivers. Sponsorship is very competitive. There is only a certain number of big blue-chip companies out there, but if you have a track record and you can tie in with their brand, they are very interested. Look at new brands, like the new beers on the market for example and build up connections with people. Think about ticketing. Do you want to generate cash flow or is it a free event? If ticketed, you need to create a buzz early, so people buy tickets in advance. This is where marketing expertise is required. Take baby steps at the beginning. Festivals should be run like businesses, while still having the enthusiasm you need to succeed. It’s a crowded market, but there is room for brilliance. What is the Social Innovation Fund?